The move will allow the city to construct a new municipal parking lot in time for the start of a Water Street reconstruction project in April. 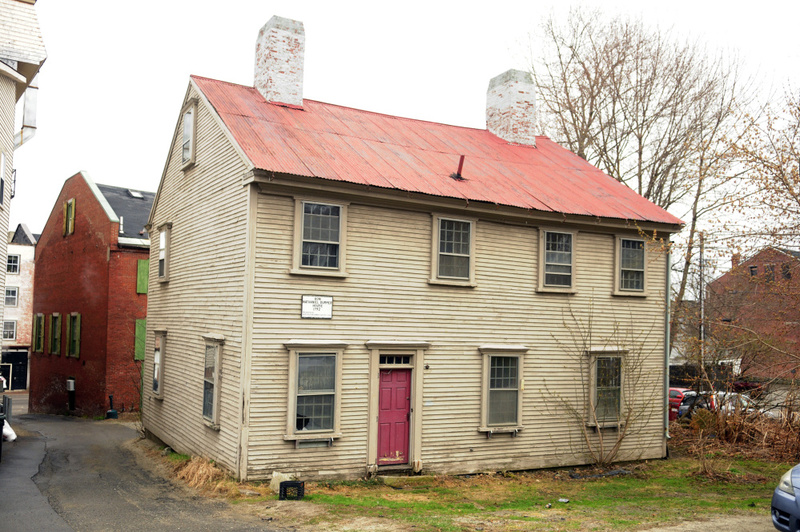 HALLOWELL — The Planning Board approved a proposal to relocate the historic Dummer House, the latest step in a process that began several years ago in order to create additional parking options for people in downtown Hallowell. Moving the house, currently at 4 Dummers Lane, will pave the way for the city to construct the new, 30-space gravel parking lot on the property ahead of the start of the Water Street reconstruction project in April. The Maine Department of Transportation is set to begin reconstructing a 2,000-foot stretch of the busy corridor — also known as U.S. Route 201 — early next year. Aaron Sturgis, of Preservation Timber Framing, represented Bean and said the house is “extraordinary” and worth preserving. He said it won’t be difficult to move, and the move, once it begins, should be completed in 20 to 30 days. Sturgis said he was given assurances Wednesday by the excavator he hired that despite the frozen ground and snow, the house can still be moved. There is no exterior work or renovations planned at this point, Code Enforcement Officer Doug Ide said, but Sturgis said there will eventually be restorative work completed on the house. If an agreement with the city is finalized, Bean will continue to own the house when it moves to its new location — on the corner of Second and Central streets — and Preservation Timber Framing in Berwick will handle the move and rehabilitation of the historic building. For several decades, the Hubbard Museum has housed artifacts and mementos from the life of John Hubbard, a doctor and the 22nd governor of Maine. The Hubbard museum’s previous owner donated the items in the museum to the Maine State Museum, and it was discovered recently that mold has damaged much of the collection. Currently, the Hubbard is only open for a few hours one day a year — Old Hallowell Day in July. In other business, the Planning Board approved applications by Mike and Shannon Collins to replace windows, siding and doors, and repair brick chimneys and foundation at their property on Second Street; and by Laflin and Wolfington Realty to install an attached storage shed at its property on Water Street. The Planning Board will hold its regular December meeting Dec. 20. An agenda has not yet been posted on the city’s website.